A breathable, waterproof jacket that protects from the cold and rain. From bitter early morning cold through battering late-afternoon storms, the outside elements can be a distraction when you're zoning in on the end of your line. 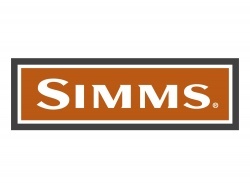 Simms' men's Challenger Jacket fights back against the elements with heavy-duty Toray fabric and fully taped seams for completely waterproof, breathable comfort. Fleece-lined pockets warm your hands in the most numbing weather. An adjustable storm hood packs away in the collar, and a storm flap with water-resistant zippers adds protection from the driving rain. 2 layer Toray ;Abrasion Zones: 100% nylon ;Body: 100% polyester. Toray fabric technology was developed specifically for fishing waders. The QuadraLam fabric featured in the Freestone wader is a heavy-duty engineered fabric with a micro-porous waterproof coating that utilizes 2-layer coated fabric, a single membrane layer and a tricot backer to offer improved durability.